U.S. Rep Richard Neal (D-MA1) greated supporters outside the Springfield Boys and Girls Club Tuesday. 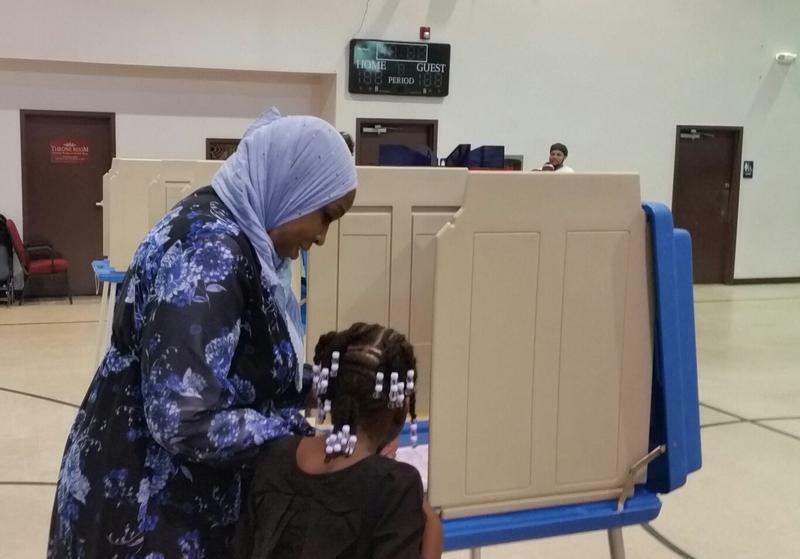 Amatul-Wadud brought her daughter Mahmooda Bey to the voting booth to see her mother's name on the ballot. Neal marks his ballot in Tuesday's primary. Among the primary contests that will be decided today is a Democratic showdown for the U.S. House seat in the First Congressional District. 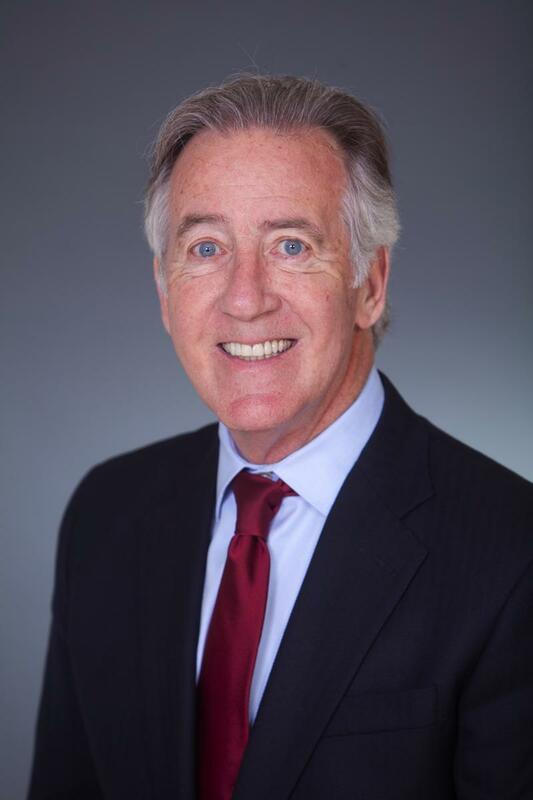 It pits Richard Neal, a nearly 30-year incumbent, against Tahirah Amatul-Wadud, a family law and civil rights attorney. Both candidates voted Tuesday morning at polling places in their respective Springfield neighborhoods. 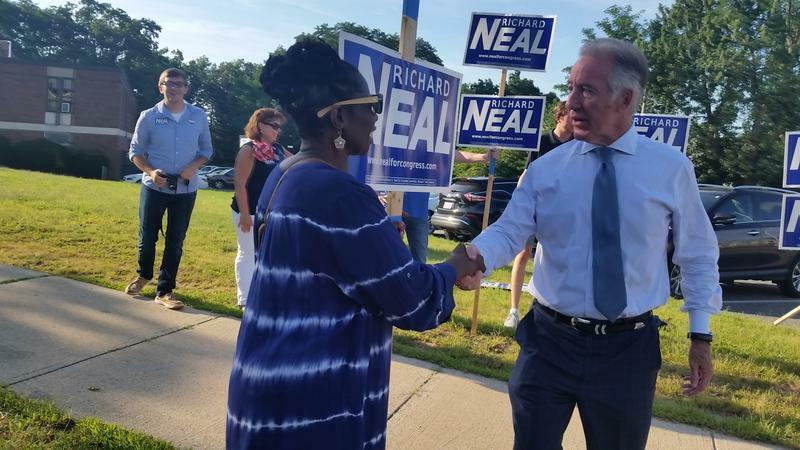 Just after 8 a.m. Neal was greeted by a dozen sign-waving supporters in front of the Springfield Boys and Girls Club on Carew Street in the Hungry Hill neighborhood. Speaking with reporters after voting, Neal sounded confident. "I feel great and I don't think anyone can say we didn't do our work," said Neal. " It was a pretty intense campaign. We certainly embraced the new technology of modern campaigning. I thought we had two very good debate performances. I've always been of the opinion you win elections in non-election years, so if you are doing your work year-round, I think you are in pretty good stead." 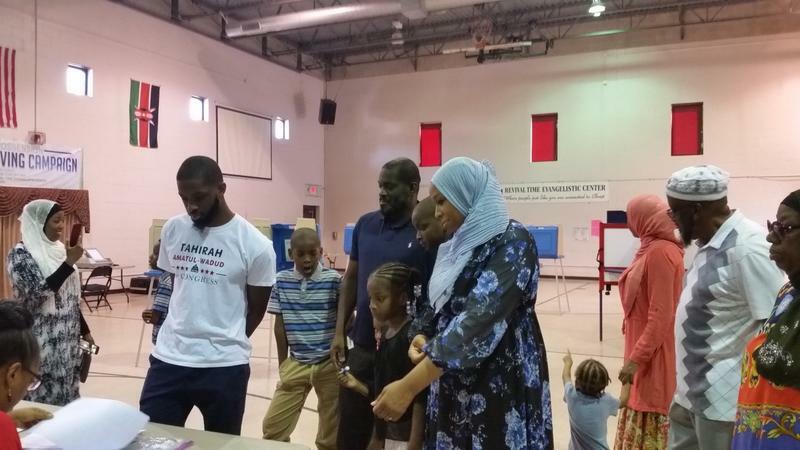 About two hours later, Amatul-Wadud was greeted by family members and several longtime friends as she came to vote at the JC Williams Community Center in the Maple High-Six Corners neighborhood. The first-time candidate took her daughter Mahooda Bey to the voting booth and pointed to her mother’s name on the ballot. She said it was "surreal" to see her name on the ballot. "I feely really excited and at peace," Amatul-Waddud told reporters. " Our team is executing a plan that has been developed over the last 8 months. It is in the voters hands and I am confident they will deliver the best person to represent them over the next two years in (Washington) DC." 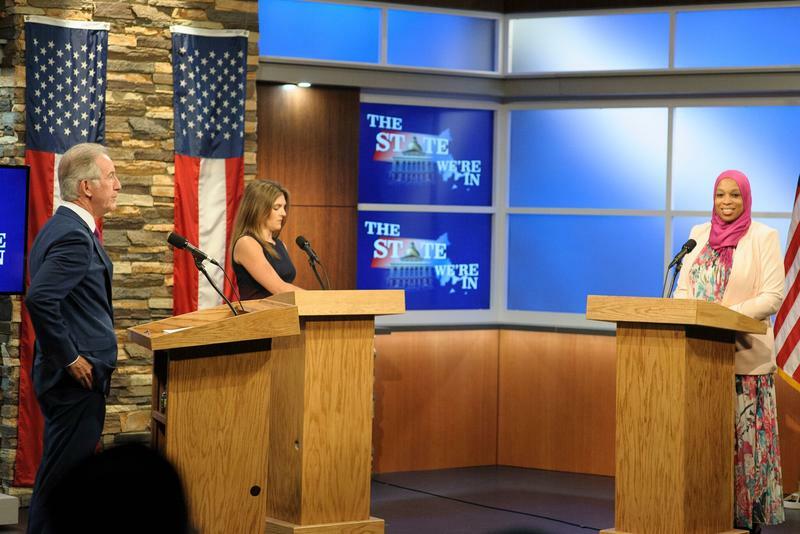 Amatul-Wadud said she knew eight months ago when she launched her campaign she faced long odds of winning, but lately she has come to believe an upset Tuesday is quite possible.
" There was a moment where I went on social media and realized people were out canvassing and door-knocking and I never met some of these people and that is when I realized it was bigger than me, and that it was a movement," said Amatul-Waddud. The challenger has campaigned on a platform that includes support for single-payer health insurance and bringing broadband internet to the rural pockets of the large district. Neal has highlighted his record and stressed the value to the district of his seniority in Washington.
" Nobody disputed the fact that I've brought back hundreds and hundreds of millions of dollars for the First Congressional district, and that is part of the job," said Neal. " I've also had a chance to play a prominent role in what is arguably the most important committee in the whole Congress of the United States, the Ways and Means Committee. And, I am ever so hopeful we are on to November." The incumbent has raised and spent vastly more campaign cash than his challenger. The district includes all of Berkshire County and parts of Hampden, Hampshire, Franklin, and Worcester counties. It is one of only 39 House districts in the country where a Republican is not running, so the Democratic primary winner is almost assured electoral victory in November. In statewide races, Democrats will nominate either Jay Gonzalez or Bob Massie to run for governor. Republicans pick between first-term Gov. Charlie Baker and controversial conservative pastor Scott Lively. Long time Massachusetts Secretary of State Bill Galvin is being challenged by Boston City Councilor Josh Zakim in a Democratic primary. Three Republicans, Geoff Diehl, Beth Lindstrom and John Kingston are facing off for the nod to run for U.S. Senate against incumbent Democrat Elizabeth Warren and an independent candidate in November. 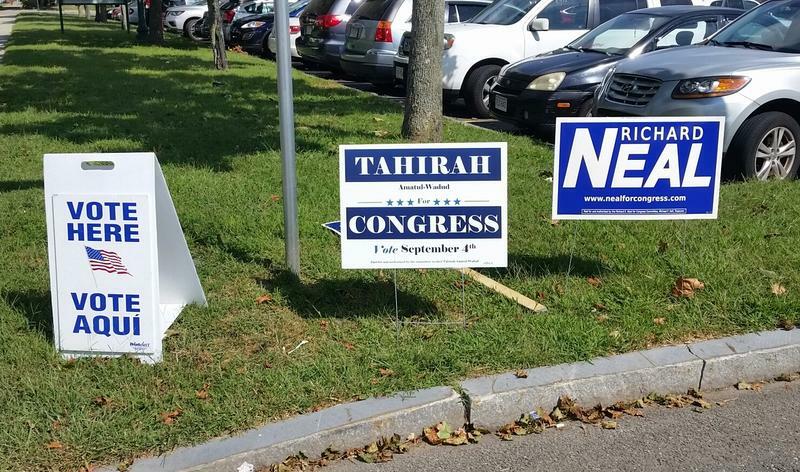 State Senator James Welch who represents the Hampden District is being challenged in a Democratic primary by former Springfield City Councilor Amaad Rivera. State Senator Adam Hinds, who represents the Berkshire, Hampshire, Franklin and Hampden District, is facing a Democratic challenge from Lee Selectman Thomas Wickham. Across Franklin and Hampshire counties more than a dozen Democrats are running in state legislative districts left open by death, resignation, and retirements. In Berkshire County, Tuesday marks the end of a contentious three-way Democratic primary in the race for District Attorney between DA Paul Caccaviello, Andrea Harrington and Judith Knight. Today is primary day in Berkshire County, and city officials in Pittsfield, Massachusetts, say voting turnout is raising eyebrows. 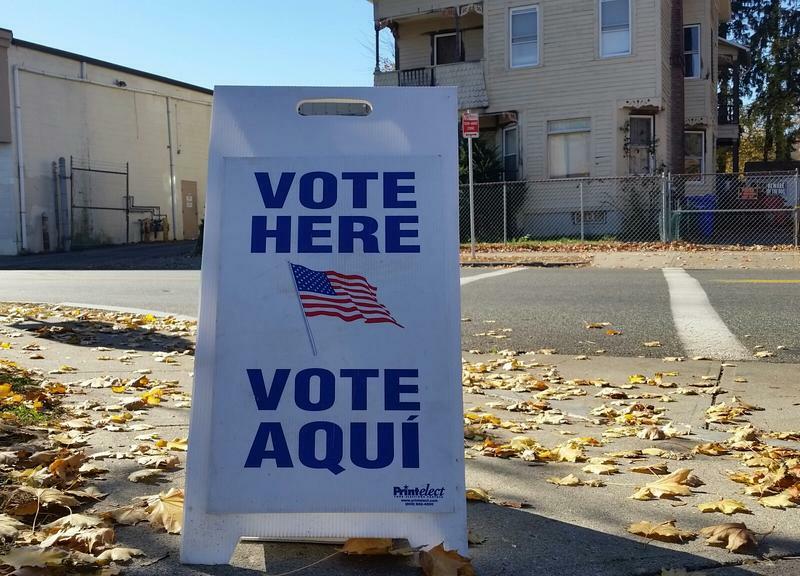 Voters in Massachusetts will decide several primary races today.